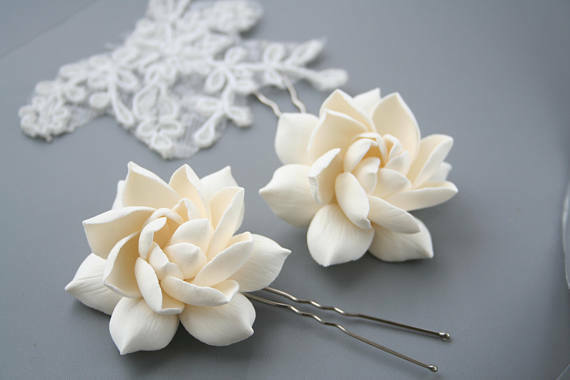 The fallowing beautiful handmade polymer clay white bridal hair pin would make the perfect wedding accessory for your special day and a keepsake forever! 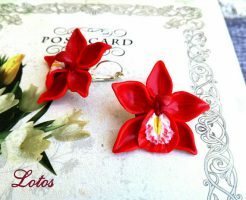 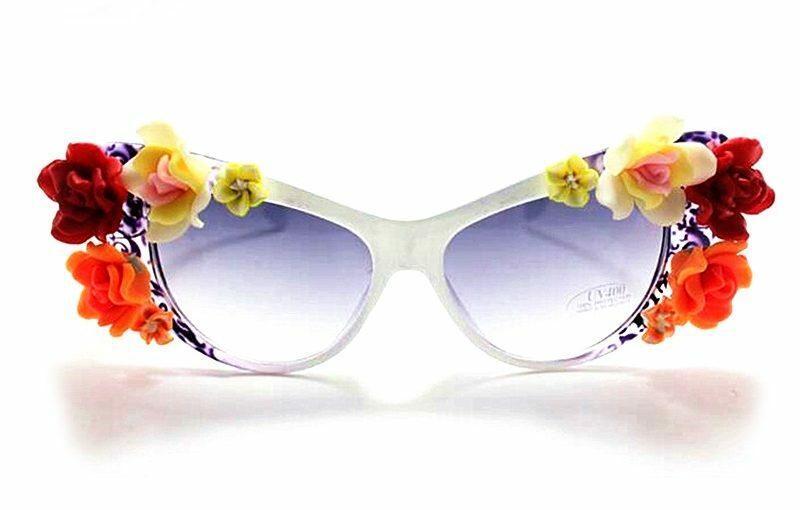 The flowers are gentle, realistic and they would make an amazing gift for your friend special day. 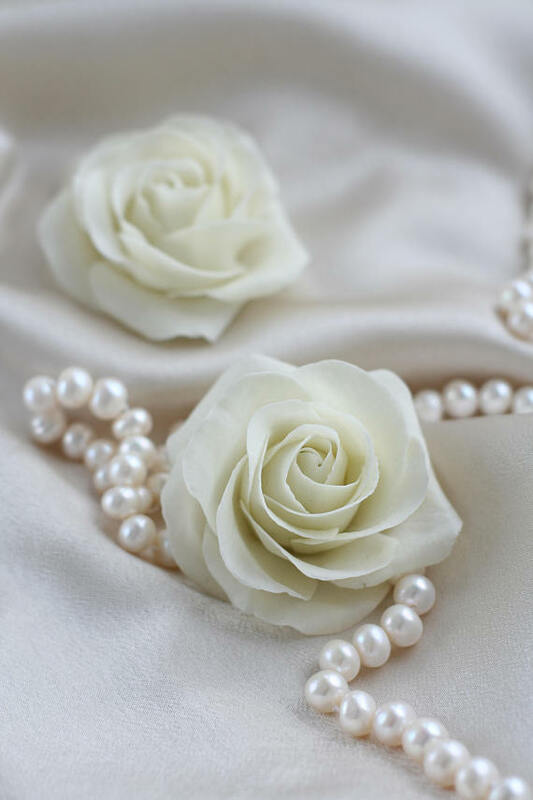 Enjoy the polymer clay white bridal hair pin collection and if you fell you need any of them order some from DecorUA shop on Etsy. 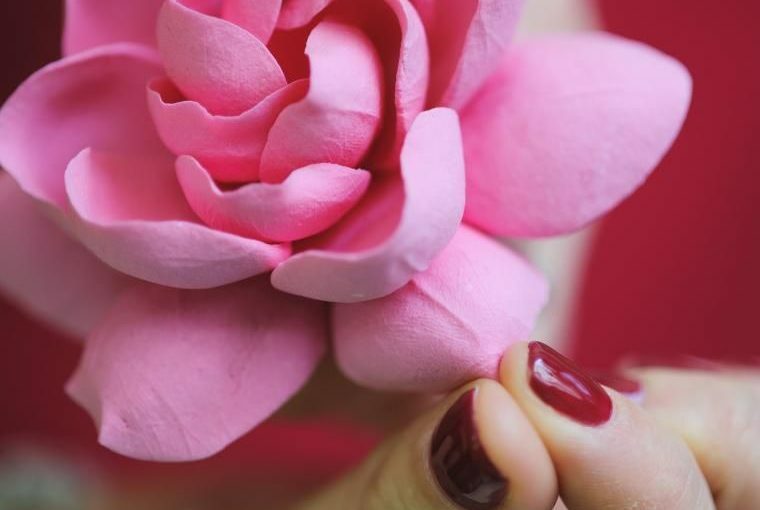 If you want your bridesmaids have the same with you but in difference color, you can even choose for that. 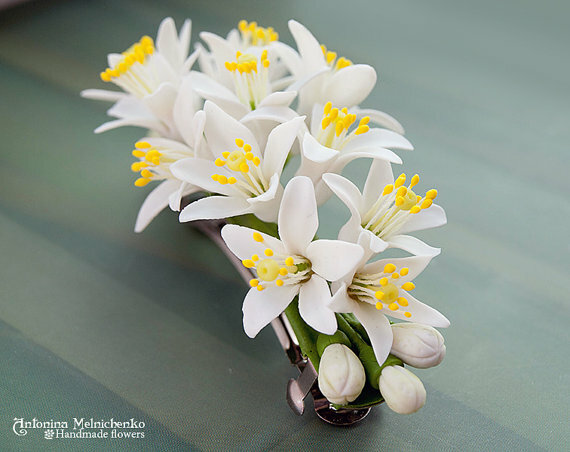 The fallowing polymer clay white bridal hair pin were handmade with clay hydrangea flower, crystals and pearls. 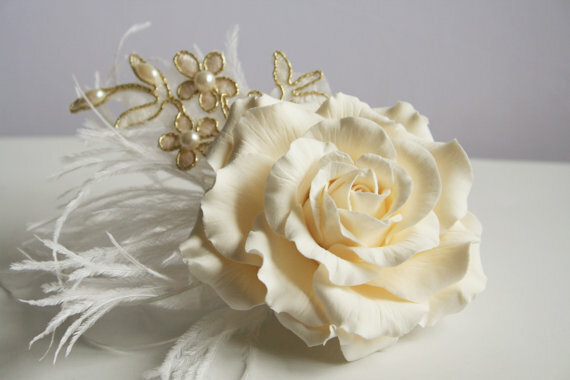 This lovely ivory floral headpiece is made from handcrafted clay rose, hand sewn beaded french bridal lace, embellished with feathers. 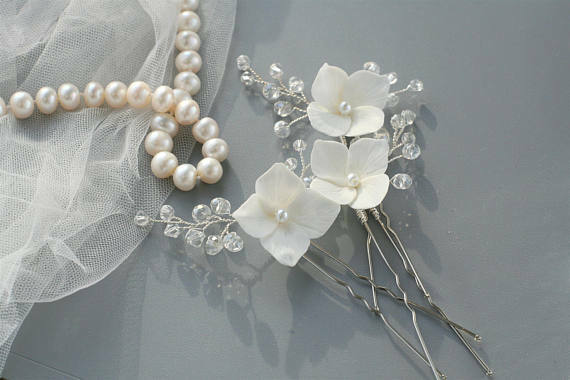 Stunning handicraft gardenia bridal hair pin will decorate any bride’s hairstyle and looks good on both dark and fair hairstyle. 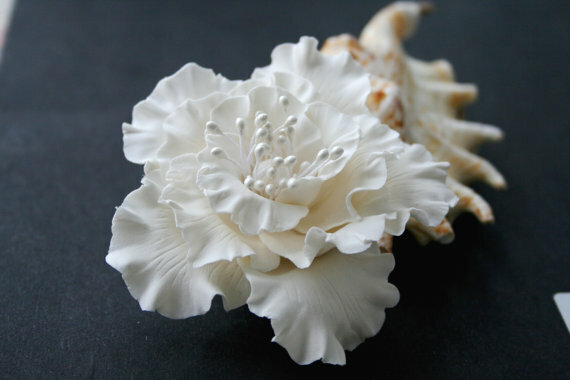 Very easy, elegant, graceful, hibiscus hair clip is perfect for both light, and dark hair. 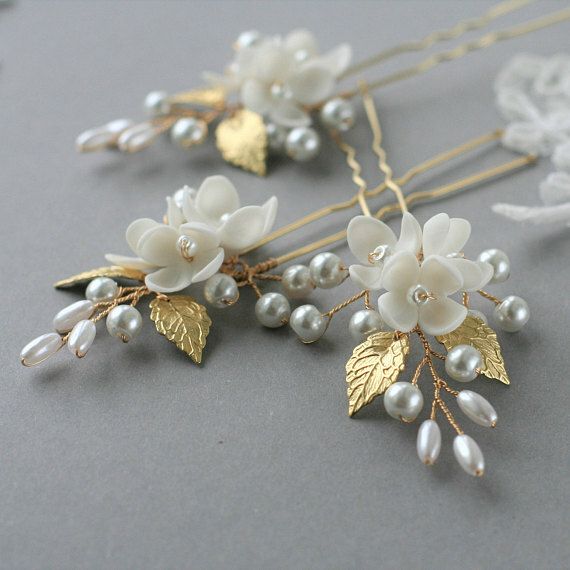 Hair pins were made from handmade clay flower with pearls and brass leaf . 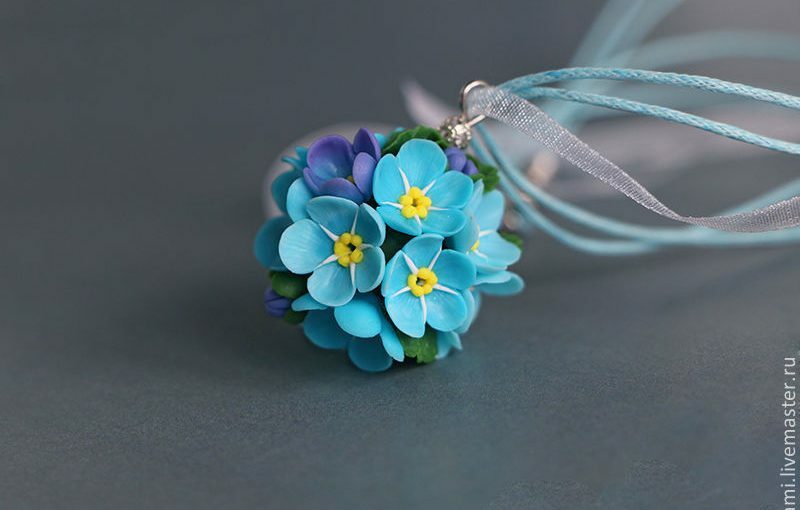 This flower hair pin features a very beautiful elegant romantic style with full of different shapes of pearls, crystals, leafs and handmade polymer clay rose flower. 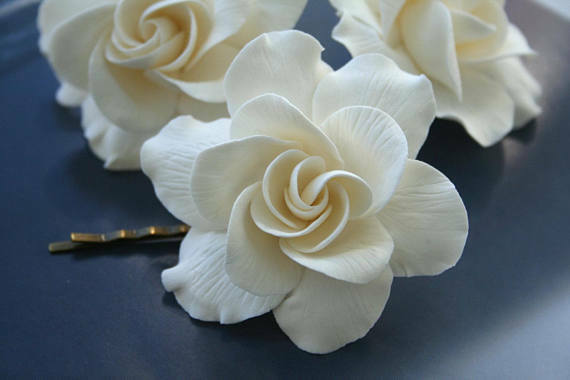 If the fallowing gardenia flower hair pins are your favorite, you’ll be amazed to see this step by step tutorial on how to create a gardenia. 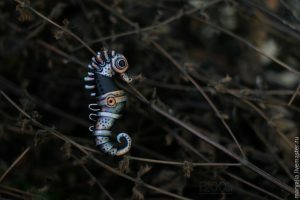 Do not wait, start creating! 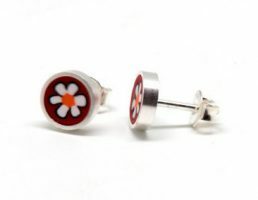 This way you’ll have them in each color available. 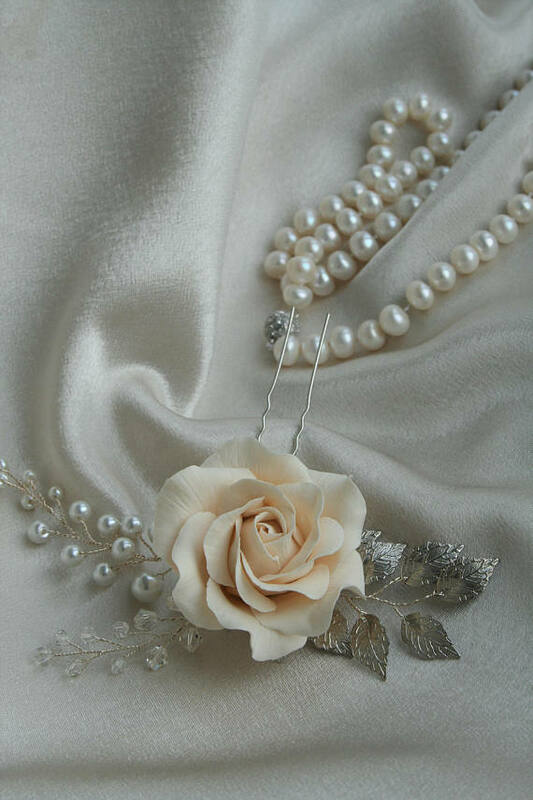 This polymer clay white bridal hair pin would make a gorgeous bridal hair accessory or prom accessory to make your day feel special. 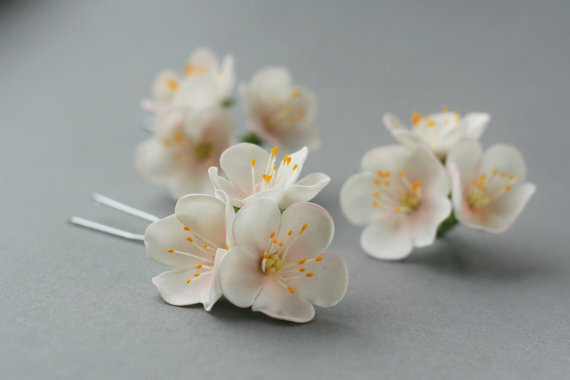 The last but not the list polymer clay white bridal hair pin is a beautiful tender flower pin with blossom apple flowers.